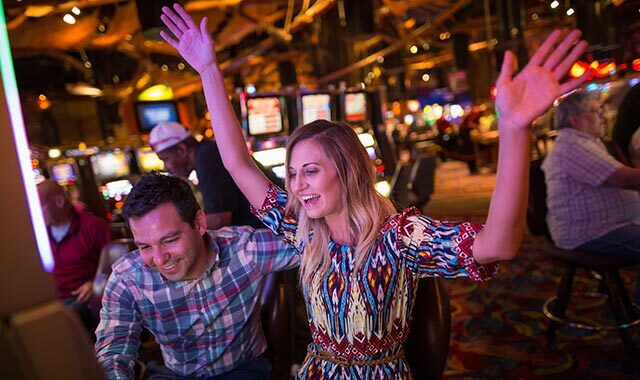 Potawatomi Hotel & Casino, in Milwaukee’s Menomonee River neighborhood, has established a lively entertainment spot, with numerous casino games, regular appearances by big-name performers and a luxurious hotel with accommodations that provide sweeping city views. Great times are brewing in Milwaukee, and it’s not solely because of this city’s beer-making heritage. This thriving destination is one action-packed playground, with lively cultural assets, fascinating cuisine, unique overnight accommodations and authentic neighborhoods with a ton of character. You can still enjoy all the Wisconsin beer, brats and cheeses you like while you visit, but that’s only the starting point for your next Milwaukee getaway. These are some of the city’s best destinations, the types locals most appreciate. No trip to Milwaukee is complete without a stop at several major tourist spots. Two of the most popular are stationed right on Lake Michigan’s shoreline. Kids and the young at heart adore the interactive science and technology center at Discovery World, a lively museum that encourages exploration inside eight learning labs. Explore the Reiman Aquarium and touch a shark, discover principles of physics at the Simple Machine Shipyard, or pretend you’re in a rock band at Les Paul’s House of Sound. Just down the street from Discovery World, visitors and locals alike flock to the Milwaukee Art Museum and its signature “wings” with a span as wide as a Boeing 747. Three times a day – 10 a.m., noon and closing – the wings “flap” in the wind, weather provided. The museum’s 30,000-piece collection includes large curations of German Expressionism, Haitian art and Georgia O’Keeffe paintings. Winslow Homer, also well-represented in the collection, appears in a special exhibit beginning this March. Biker types ride all season long to the Harley-Davidson Museum, an homage to the motorcycle manufacturer that’s called Milwaukee home for 115 years. The company celebrates its big anniversary and the museum’s 10th anniversary throughout 2018 with special exhibits and gatherings. Mark your calendars for the biggest parties in July and September, when Hog-riders from all over the world will converge on Milwaukee. Expect a thundering rumble throughout the city on these select weekeneds. The fun isn’t limited only to biking enthusiasts. Kids, too, enjoy looking at exhibits on famous bikes (Evel Knievel’s included), biker culture, and a bike that disappeared in a Japanese tsunami only to resurface months later on a British Columbia beach. A visit to Milwaukee isn’t complete without a stop in the Third Ward, located just south of downtown. This formerly industrial neighborhood has been enjoying a cultural renaissance and now boasts a rich display of restaurants, shops and boutique hotels. Get a good sample of everything this neighborhood offers while strolling the Riverwalk. Stretching 3 miles along the Milwaukee River, this is one of the city’s favorite summertime hangouts. Restaurants and breweries open up to the public walkway and kayaks cruise along the water. For a truly Milwaukeean tour, join a “kayak crawl,” and rent a kayak to jump from stop to stop. While you’re exploring the Third Ward, be sure to visit the Milwaukee Public Market, located at the northern end of this neighborhood. For more than a decade now, this modern take on the traditional market has been gathering local vendors peddling all sorts of culinary delights – fresh seafood, meats and vegetables to freshly prepared foods. Experience this neighborhood’s vibrant night scene with a stay at Kimpton Journeyman, a stylish boutique hotel boasting one of the city’s hottest rooftop bars. Bright, cheery and urbane, the hotel’s rooms and suites reveal sweeping views of the neighborhood and the surrounding city. There’s no shortage of tantalizing meals to be had around Milwaukee. From classic brats to modern cuisine, you can find it here. This being Wisconsin, cheese curds, of course, are on many a menu, but it’s Lakefront Brewery that has the city’s favorite. One of the area’s oldest craft breweries, Lakefront serves up curds both fresh and fried – and they pair great with the beer. Clock Shadow Creamery, in the Walker’s Point neighborhood, is one of the only urban creameries in the nation, and it sources some of its milk from cows at the Milwaukee County Zoo’s farm – another popular local attraction. The Bartolotta group is a local standard-bearer in restaurants, and it’s been a starting point for many inventive chefs. Lake Park Bistro, located in Frederick Law Olmstead-designed Lake Park, is beloved for its French cuisine and sweeping lake views. Harbor House, located by Discovery World, boasts amazing views and some top-rated seafood. Downtown, the swank Third Coast Provisions, known for its seafood and gleaming white interior, is beloved for its oyster bars. Milwaukee’s German traditions shine brightly at Mader’s and the classic Brat House, specializing in German cuisine and sausages, respectively. The Vanguard, located in the Bay View neighborhood, spins tradition on its head with funky new takes on sausages, such as the Duck BLT – a sausage made of duck, bacon and sun-dried tomato, topped with shredded lettuce, hollandaise aioli and bacon. Street food prevails on the menu with sides such as roasted corn and potato balls. Ask about inventive vegan selections, too. One of Milwaukee’s next up-and-coming neighborhoods is Menomonee Valley, a still-industrial area where Potawatomi Hotel & Casino has established a busy entertainment scene. Attracting more than 6 million visitors annually, Potawatomi is one of the nation’s largest tribally owned and operated casinos. The casino offers thousands of slot machines, more than 100 table games, off-track betting and a giant bingo hall with high-stakes jackpots. At the center of the gaming floor is Bar 360, serving beer, wine, cocktails and live entertainment. By evening, crowds gather at venues like the 500-seat Northern Lights Theater and the intimate Fire Pit side bar, where musicians and entertainers appear several times throughout the week. With seven dining options, Potawatomi offers ample choices for a quick bite or a luxurious dinner. Dream Dance Steak mixes modern touches with a traditional steakhouse, while Bella Italiana serves classic, comforting Italian dishes. A new addition, RuYi, serves up Asian noodle dishes and features a sushi bar. At the end of the day, guests can head upstairs to Potawatomi’s luxurious 19-story hotel tower. Floor-to-ceiling windows in the hotel’s guest rooms and 16 suites provide sweeping views of the city’s skyline and the lake. For a real treat, stay at the Presidential Suite, which boasts 180-degree views over the city, a private balcony and several other small perks. The casino and hotel are growing this year, with the addition of a new tower that promises to introduce an extra 119 rooms and suites, plus a relaxing spa. It’s expected to open in spring 2019. Milwaukee has so much to see and experience that it’s best seen over multiple days. Don’t opt for any ordinary hotel, and avoid the temptation of an Airbnb – the city has more than enough unique lodging choices on the market. Complement your trip to the Harley-Davidson Museum with a stay at the Iron Horse Hotel, located just on the other side of the Menomonee River. This beautifully transformed warehouse is now an upscale hotel serving corporate and leisure guests with a special bent toward all things Harley-Davidson. The Pfister Hotel, in downtown Milwaukee, has welcomed lodgers for more than a century, and it continues to embrace that tradition as one of the city’s most luxurious hotels. Its grand Victorian-style architectural detailings inside and out complement its enormous collection of Victorian art – one of the largest owned by a hotel. While you’re at The Pfister, drop in on the hotel’s artist-in-residence. Current resident Margaret Muza, who specializes in tintype photography, works out of Pfister’s artist studio several days a week. Muza’s successor arrives in mid-Spring. It might feel as though you’ve landed a sweet pad on Airbnb when you stay overnight at Kinn MKE Guesthouse, a unique accommodation in the city’s quirky Bay View neighborhood. Each of Kinn’s eight suites feels like its own urban apartment, and each space is designed to maximize the feeling of communal, intimate, social experiences. Enjoy a meal at the in-house restaurant or prepare your own fare in the gourmet kitchen. There’s always something new to explore in this lively, ever-evolving city. This coming fall, look for the city’s new streetcar downtown. The 2.5-mile loop will pass major attractions, including the art museum and the Milwaukee Intermodal Station. With a direct Amtrak service to Chicago’s Union Station, this provides one more transportation option for the curious traveler. Go off the beaten trail with a stop at Koz’s Mini Bowl, on the city’s south side. Located in a neighborhood transitioning from heavily Polish to Hispanic, this longtime favorite among the locals features a miniature bowling alley with miniature balls and human pin-setters. Saturday mornings, visit the three egg-like domes at Mitchell Park Conservatory, near Potawatomi Casino, and experience a winter farmers market inside three climate-controlled exhibits of cultivated flora. And, of course, there are the events – lots and lots of events throughout the year. During the winter, locals show their true Wisconsin roots with a Polar Bear Plunge and a kite festival. Once it’s warmer out, look for an an anime convention, motorcycle gatherings and a Black Restaurant Week celebrating establishments owned by African-Americans. In the Third Ward, artists and their admirers gather every few months for the Gallery Night & Day tour of local galleries and pop-up displays. Depending on where you start in the Chicago suburbs, Milwaukee’s typically 1.5 to 2 hours away – just the right distance for a few days’ respite from the ordinary. No matter when you visit, this city knows how to make the most of a perfectly good season. Seize the best of winter and spring, and start planning now. This entry was posted on Tuesday, January 9th, 2018 at 12:00 pm	and is filed under Recreation & Destinations, Top Posts. You can follow any responses to this entry through the RSS 2.0 feed. Both comments and pings are currently closed.